The efficient delivery of cellular constituents to their proper location is of fundamental importance for all cells and is of particular interest to neuroscientists, because of the unique functions and complex architecture of neurons. Protein Trafficking in Neurons examines mechanisms of protein trafficking and the role of trafficking in neuronal functioning from development to plasticity to disease. 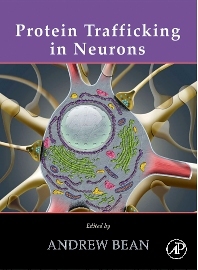 The book is divided into seven sections that review mechanisms of protein transport, the role of protein trafficking in synapse formation, exo- and endocytosis, transport of receptors, trafficking of ion channels and transporters, comparison of trafficking mechanisms in neuronal vs. non-neuronal cell types, and the relationship between trafficking and neuronal diseases such as Alzheimer's, Huntington's and Prion Diseases. Researchers, postdocs, and students in neuroscience, cell biology and biochemistry fields. Section I. PROTEIN MOVEMENT. Chapter 1. Molecular Mobility in Cells Examined with Optical Methods. Chapter 2. The role of Molecular Motors in Axonal Transport. Chapter 3. The role of APC complexes and the cytoskeleton in neuronal morphogenesis. Section II. SYNAPTIC DEVELOPMENT. Chapter 4. Assembly of Synapses in the Vertebrate Central Nervous System. Chapter 5. Presynaptic Terminal Differentiation. Section III. EXO-/ENDOCYTOSIS. Chapter 6. Neuronal Exocytosis. Chapter 7. Endocytosis in Neurons. Section IV. RECEPTORS. Chapter 8. Postsynaptic Machinery for Receptor Trafficking. Chapter 9. Synaptic trafficking of AMPA receptors. Chapter 10. Subunit-specific NMDA Receptor Trafficking to Synapses. Section V. ION CHANNELS/TRANSPORTERS. Chapter 11. Membrane Trafficking of Vesicular Transmitter Transporters. Chapter 12. Determinants of Voltage-gated Potassium Channel Distribution in Neurons. Section VI. PROTEIN TRAFFICKING IN OTHER CELL TYPES. Chapter 13. Protein Trafficking in the Exocytic Pathway of Polarized Epithelial Cells. Chapter 14. Trafficking in Neuroendocrine Cells. Chapter 15. Exocytic Release of Glutamate from Astrocytes: Comparison to Neurons. Section VII. PROTEIN TRAFFICKING AND NEURONAL DISEASE. Chapter 16. Trafficking Defects in Huntington’s Disease. Chapter 17. Neuronal protein trafficking in Alzheimer's disease and Niemann-Pick Type C disease. Chapter 18. Trafficking of the Cellular Prion Protein and its Role in Neurodegeneration.